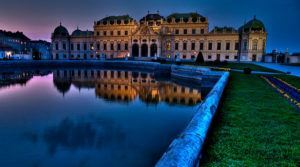 Vienna is one of those magical places that is romantic at any time of year. The lights on a chilly, winter’s evening when you snuggle close to your partner, or walks hand-in-hand under the chestnut blossoms in spring, or among the roses in the Volksgarten. 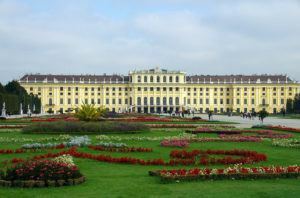 It’s for these reasons that Vienna is regarded as one of the most romantic places to visit in Europe. It’s no Paris, but who needs the Seine when you have the Danube, or the Eiffel Tower when you have the Riesenrad Ferris Wheel? There are restaurants and cafes to equal any in Paris, too, as you’ll find out below. 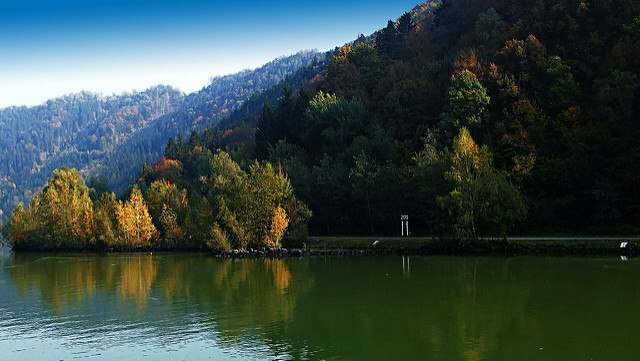 This former hunting ground is something much more sophisticated these days, but it still consists of a vast area of park land between the Danube and the Danube Canal. Romantic options abound, from leisurely strolls, to picnics, to a date in the old-fashioned theme park or the planetarium, not to mention dancing and horseback riding. 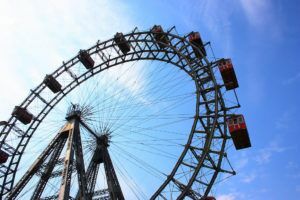 Here is where you’ll find the Riesenrad Ferris Wheel, perfect for stunning views over the Austrian capital. For an extra-special occasion, or if you really want to spoil your other half, you can book a “Romantic Crystal Dinner”. You’ll dine on a three-course meal in the candle-lit surroundings of the “crystalline” wagon, decorated by Swarovski. The hefty €405 price tag comes with a small gift and a €50 Swarovski coupon, and is guaranteed to be unforgettable. The Belvedere Palace, the former summer residence of the Prince of Savoy, is a beautiful spot in and of itself, but inside the art gallery there is a painting that’s very popular with couples: The Kiss. 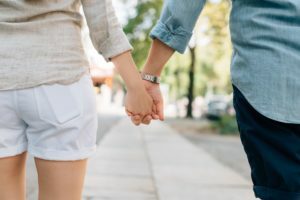 Picturing a tender moment between two people in love can’t help but turn your thoughts towards your own love, and it’s not unusual to see the odd “tribute”. Treat your partner to a classy evening out at the State Opera. World-class performances of both opera and ballet take place in an auditorium plush with red and gold, accompanied by the Vienna Philharmonic. Fans of either will definitely thank you for such a thoughtful gesture. From gazing out over the water to gazing into each other’s eyes on a boat ride, there are many opportunities for romantic moments by the river. On the island of Donauinsel you can use the riverside promenades or hire a pedalo for two, and there are many more chances for an intimate picnic on the banks. The heurige, or wine taverns, across the city are perfect for couples – you won’t be able to tell if your giddiness is from the drinks or the romantic atmosphere. 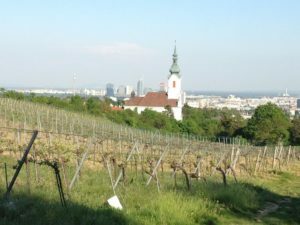 If you go out to Vienna Woods, you can enjoy gorgeous views over Vienna as you slowly sip on the local vintages. Another ideal place for a romantic walk, exploring the Old City is only beaten by viewing it from a horse-drawn carriage. Snuggle with your partner as you clip-clop over the cobblestones surrounded by historic buildings. Or go by night to make it even more magical. 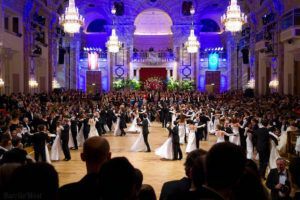 Dancing is one of the most intimate activities a couple can do, and where better than in the middle of the splendour of one of Vienna’s famous Balls. Most of the notable ones take place in January and February, so dress up warm in your finest clothes and prepare to mingle with high society. Step into a fairy tale in the beautiful gardens of this baroque Palace. Delicate fountains, blooming flowers and decorative architecture dot are ready to be discovered among the greenery – just don’t get too lost in the maze! 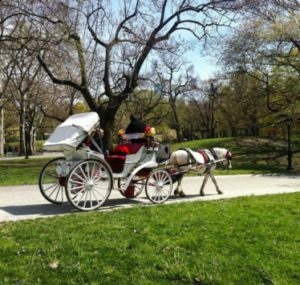 Your happily ever after can be found in the Carriage Museum, where the coaches wouldn’t seem out of place in a performance of Cinderella. What’s a romantic trip without a romantic meal? For something a little more informal, Vienna is home to hundreds of cafes. The most famous are Café Sacher and Café Demel – if you visit both, hopefully you won’t get caught up in the disagreement over sachertorte recipes. Café Central is a more neutral place for a cosy cup of coffee and a pastry, with more than enough mouth-watering options that you may just have to share to taste them all. If you want a particularly special meal, dinner at Das Schick is widely recommended. Romantic candles will bathe you in soft light as you both enjoy the view over the rooftops. 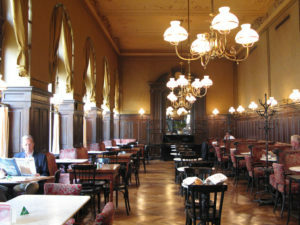 You can expect a menu with an interesting mixture of Austrian and Spanish cuisine; an average meal will be around €100. No matter how you enjoy spending time with your partner, Vienna has something romantic for you.